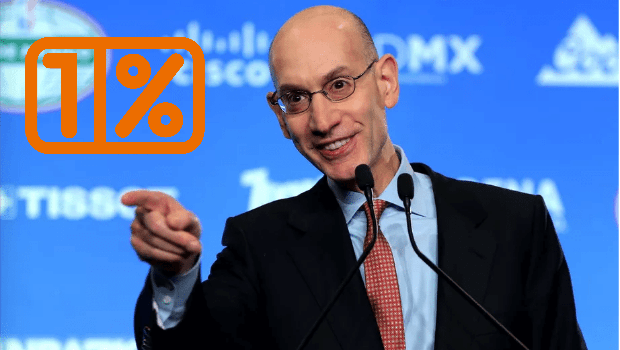 Despite Silver’s attempts at getting a fair return, it can’t be ignored that amidst discussion of the NBA's “integrity” there is plenty of underlying potential monetary gain for the association. Nevada’s sports betting industry took in $4.5 billion in 2016 and was projected to collect nearly $5 billion last year. A deal under Silver’s terms would be incredibly lucrative for the NBA, and while the league obviously has a legal right to the intellectual property of its product, the question of what a fair agreement for all parties would look like is a hot one. And cloaking a proposal of a plan that would heavily favor the NBA with a word like “integrity,” as subjectively defined by the NBA, is more a tactic primarily in purpose rather than a grandiose moral statement. In further justification for the fee, Silver briefly addressed the potential for expenses incurred on the league by the legalization of sports betting and attempts to turn it into a nationwide U.S. industry. This claim is attention-grabbing when coupled with the proposed legislation by Major League Baseball in Missouri, as in that bill much of the onus for enforcing and protecting integrity is placed on the gaming facilities and the state. How closely Silver is expecting to follow that part of MLB’s plan is uncertain, but it remains an interesting precedent when analyzing his comments. Furthermore, the NBA already regulates such betting endeavors in markets where sports betting is legalized, so the idea that such an investment would be a new, enormous endeavor rather than adding onto what the league already does is exaggeration. In fact, a good part of the commissioner’s claims of expense to a league that makes much more than it spends to produce its sport is exaggeration, but Silver can’t be faulted for trying to be a good businessman and attempting to take advantage of the situation given his right to intellectual property. Another problem with Silver’s justifications are that they ignore the presence of overseas sportsbooks providing illegal competition for regulated American sportsbooks who would face higher fees and taxes under the NBA’s plans. That factor could ironically potentially lead to more issues with integrity than Silver’s fee could solve. Additionally, the real possibility of other pro sports leagues following Silver’s lead with fees of their own could decrease the profits of everyone else involved substantially enough to question the existence of sports betting at all. In that scenario, the NBA and pro sports leagues may win in the short term, but it would be incredibly difficult for sportsbooks to compete amongst themselves which would eventually hurt the business as a whole in the long term. One could almost view the terms of “acceptance” Silver endorses for legalized gambling as simply a backdoor attempt to destroy interest in it. One hope is that even though Silver is starting at a high price, he appears willing to discuss. Silver said towards the end of his betting statement that the NBA “never suggested that this is the only way to look at” potential legal sports betting. The openness is there, but if 1% is indeed the precedent considered “fair”, there may be quite a bit of negotiating to be had to find a middle ground that makes sense.